People used whatever materials were available to them. 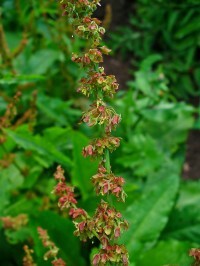 This would usually have been what was growing in the local vicinity. 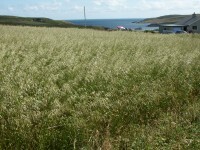 It is also possible that as people travelled and settled in different places that they may have taken cuttings or seeds of their preferred basket making materials. As Lois Walpole notes though if a new material turned up on the docks as packing material from across the world then it too would be used. 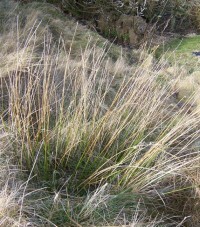 Also at times local materials would be denied to people through the law, such as heather and marram grass. 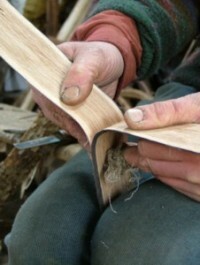 Bramble is a very strong material and can be gathered selecting good long stems which have a more consistent thickness than for instance willow. Rattan is a weaving material which has been imported to the UK from South East Asia over several centuries. 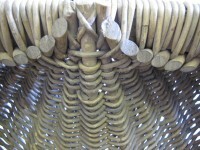 It can be recognized by its scale-like surface, its fibrous core, and its length, which means that any basket made from it will, unlike willow, have very few ends. 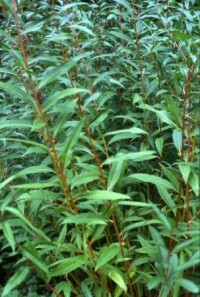 One of Scotland’s native trees, willow actually comes in several different species. 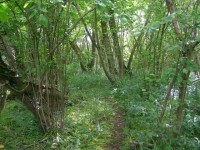 Along with other trees it is willow’s potential for coppicing that has enabled its use in basketry.